On scenarios without valid physical or logical backups, when a mistaken delete occurred in Oracle, it will be given priority to use techniques such as flashback or logminer to recover the data rows in Oracle tables in general, but in many cases even flashback or logminer could not turn the tide. For the row piece in the underlying data block of Oracle, delete operation only modify the row flag and mark them as deleted. It allows records of the subsequent INSERT to override these data marked as delete, and also allows to destroy the structure of these data that are deleted. In other words, if no operations has been done on tables after delete, it is possible to read the complete data by directly reading those records that are marked as deleted in blocks. In a word, whether it can recover the deleted data or not all depends on whether the deleted data rows in oracle block on the disk have been eventually cleared or not. 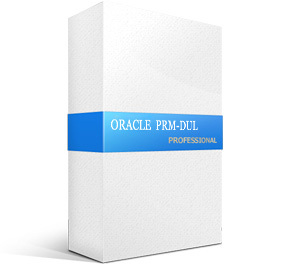 As soon as it has not been cleared, ORACLE PRM-DUL can attempt to recover the data, and the specific steps has little difference with the ordinary data dictionary mode. Add all of the Oracle data files, no TEMPFILE, UNDO data files, control files, log files is required. ow on the left of PRM, you will see the object tree, select the corresponding data table under the user that you need to recover, right-click the object and then select unload deleted data. After completing the recovery of the deleted data, PRM-DUL will write the data to the location of File path in the picture above, the Sample data recovery is as follows.